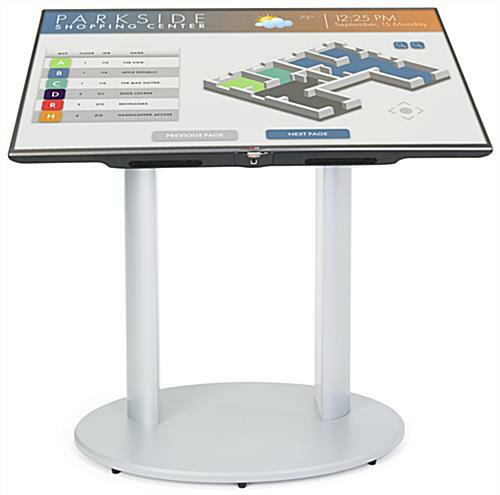 This LCD kiosk, screen stand is commonly used in malls, office buildings, and hospitals for providing information about services and locations. Do you need to create a display with an LCD monitor? 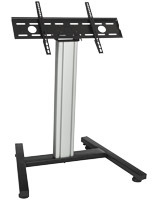 A screen stand uses a VESA LG bracket to hold a 42" to 60" LCD or plasma television weighing up to 80 lbs. 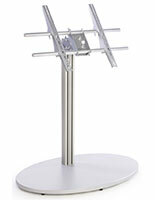 A VESA bracket has been designed alongside manufacturers to fit most plasma and LCD televisions. 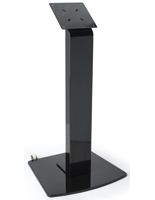 This screen stand, also known as a plasma kiosk and an interactive lobby directory, includes the necessary hardware to attach your television, though some may need specific screws you can buy at any local hardware store. This LCD kiosk is ideal for displaying interactive directories or information for customers to search and visually find their answers. Screen stand can mount a 60" LED TV that will be ideal for locations that need a medium between the connection of information and passersby. 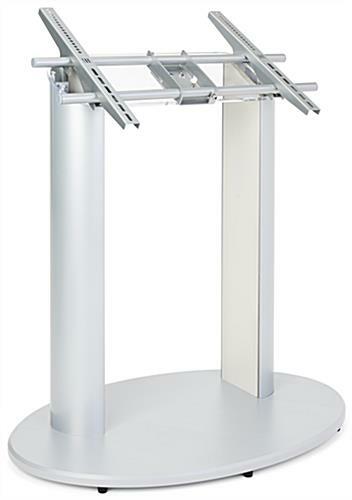 This LCD bracket is VESA LG making it the best option for optimal viewing of an interactive kiosk. Mounting a 60" flat screen to this screen stand makes this unit the #1 option for electronic communication between business and customers. Individuals are attracted to an interactive display therefore this unit will draw in the crowd and captivate their attention to your company's information. 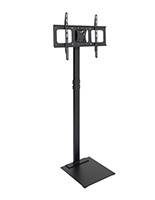 This LCD display, TV communication stand will go with any television between 42" and 60" as long as the weight is below 80 lbs. 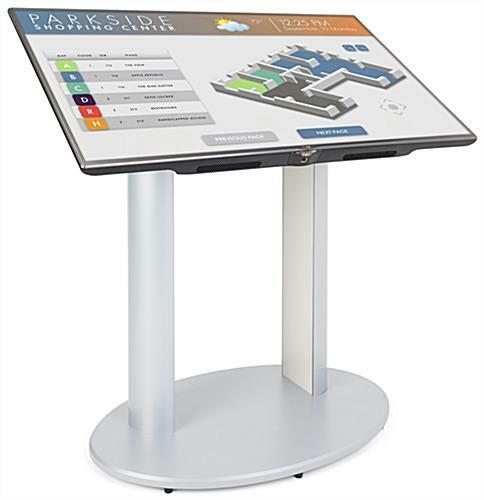 An interactive kiosk, screen stand has (6) rubber feet on the base of the display. 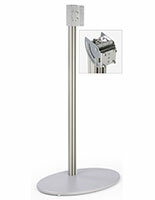 These feet help prevent markings on the floor, as well as keep the stand stable while in place. 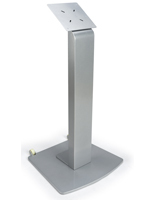 A screen stand has a satin silver color to easily blend in with nearly all surroundings, and is made of durable materials to hold up well even in heavily trafficked locations. 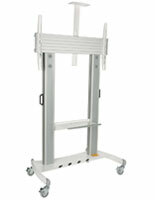 We ship this screen stand out assembled for ease of use, you only need to mount your monitor with simple tools!